The year 11 Software Design & Dev PBL Delta X was to culminate with a pitch presentation to a panel of judges. As part of the project, I gave the students an opportunity to present just to assess their presentation skills. While I had a few who came across as confident and prepared, the majority were not. I was very lucky to get Melissa Pye, an advertising/startup pitch specialist, come and do a workshop with my students before the pitch. Melissa went through the steps of creating a pitch deck – the “pitch in a nutshell” which really emphasised elements of the PBL giving it more authenticity. I loved that she mentioned the importance of understanding the problem including audience and purpose as well as how designed solutions can help make it easy, faster and/or cheaper. 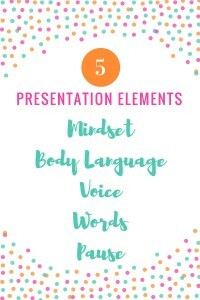 Melissa also went through 5 elements to consider when actually delivering the presentation. I believe that these are really useful for all types of presentation, including delivering instruction …meaning, it’s also useful for teachers like me. Here are the 5 elements and a bit more blurb about what Melissa said and did. Think positive. Think confident. Think authentic. Think passionate. Melissa reminded us about being prepared including anticipating questions. Having done the prep work, the next bit is to trust in this prep that the presentation will go well. Be big and open – stand with legs apart, back straight, arms on the side not crossed. Use open palm instead of pointing finger. Look at the audience (look at noses or foreheads if you struggle with eye contact). Melissa got each student to stand up and say something. In this way, she was able to provide individual constructive feedback, much needed by many of my students. To one student self-conscious about being over 6-foot tall, she said “You’re lucky you’re tall. Be tall.” It’s pretty amazing how much ‘presence’ can be evoked with appropriate body language. Vary pitch (lower pitch is preferred), volume and speed. Variety adds interest. Again, after modelling, Melissa gave each student individual feedback. She was able to draw out impressive volume from 2 of my quietest students. This was amazing to watch and the transformation is palpable. Use succinct, positive and confident words. Technical jargon is not necessarily a no-no as it can indicate specialist knowledge. Melissa emphasised the need to choose appropriate words and phrases. Practice. Practice. Practice. Practice saying the words you will say. Use pause before or after a key point to emphasise it. Melissa modelled this to great effect. I’m happy to report that my students employed what they learned in this workshop. Their pitch presentations were so much better than the trial presentations. It was so good, I was gushing (haha). 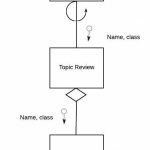 Anyway, developing oral presentation skills is important and the above are good pointers to help teachers help/teach students. I highly recommend practice sessions and giving students specific feedback just like Melissa did. Another useful post is by Erik Palmer in BIE (Buck Institute for Education), “Speaking Matters! Improving Project Presentations“. This post is about my 9 IST 2014 Game On project originally premised on the notion of making the world more humane (see links for related posts). 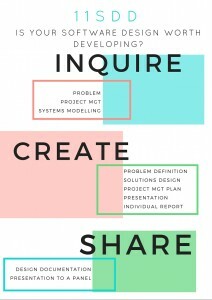 This was essentially a project-based learning approach (PBL) and it had the 8 essential elements of PBL according to the Buck Institute of Education (BIE), a PBL leader. It’s tempting to see how I’ve done against that checklist and I dare say it was a good PBL but what I really want to do here is ask the harder question of whether or not this project has achieved what I set out to do. That is, has the project somehow made the world more humane? Have the process and product of answering the driving question – “Can developing games help develop resilience?” – somehow created a more humane world, on top of achieving curricular outcomes? The previous Game On event post has partially answered this … and it is a YES. Connecting with others. Making time for play and enjoying it. Celebrating achievements. Laughing out frustrations. Giving feedback. All good stuff and all told from my perspective. Let me share what my students said. I used one of Harvard University’s Project Zero Visible Thinking Routines, “I used to think…now, I think” as a student reflection tool. I’ve quoted a few below but if you want to read more, find it here – SDP reflection (PDF). Would be pretty easy as there are so many games already made It’s challenging but now I realise how creating a game isn’t so simple and coming up with a new idea is not as easy as you think. However, designing games is a rewarding process and is absolutely fun. It is easy to come up with an idea and develop a game and it is the programming and algorithm which is the difficult part in the game designing process. That coming up with ideas take up a lot of patience and skill. It is vital to come up with an idea which has a vitally fun and interesting output. It is essential to consider how the gamer or viewer will find the game as well. That games you could just tell the computer what you wanted without having to use certain blocks and that it would be quite simple once you have an idea, it would do the rest for you. Actually, there are specific instructions you must use to make games. You have to be determined because sometimes things don’t work and you have to try again. That software design and development has to strictly follow the design process of design, produce, evaluate. 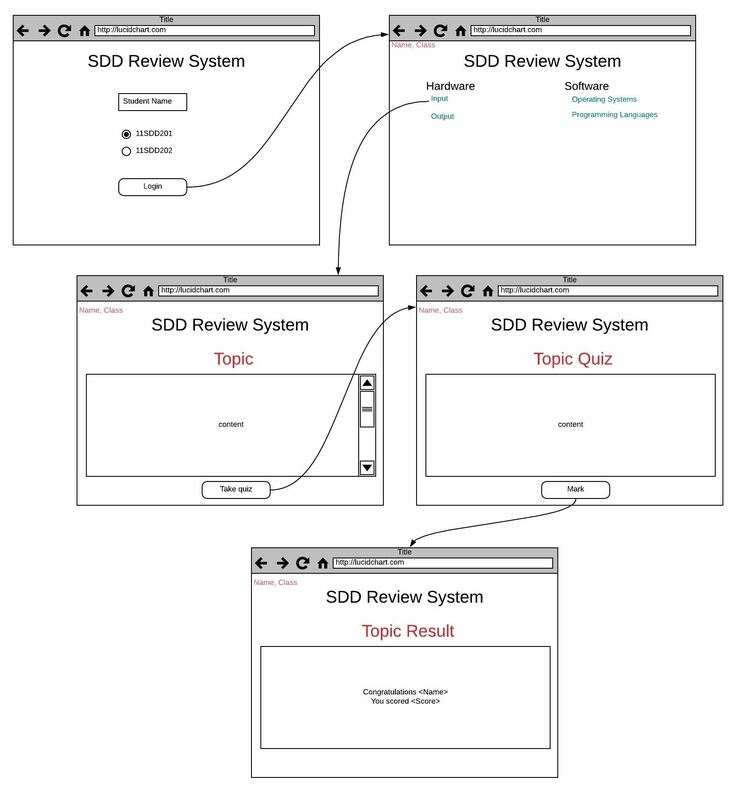 That evaluation is the most key part of design as it enables communication between the designer and user. That it was really boring and that there wasn’t really many things you could do with software. Also, that people just made things that already existed and that it wasn’t helpful or fun. Software design and development is very good and useful and there is so much you can do with it that is not already created but you make new things and new ideas. It really only involved one person and that you always typed in binary. It involves a whole group of people for it to be successful. Now I know there are many other computer languages that you can use. That it was a simple and mindless job people did and that it was boring and stressful. It takes a lot of creativity and thinking to be able to design and produce something. Also, that although it may be stressful, it’s a lot of fun and incredibly rewarding when you see your finished product. That in order to create a good idea, it was only the creator’s mindset or viewpoint on it that shaped how it turned out. That repeatedly seeking advice and information is important to keep you on the right track. Reviewing your work from different perspectives help in taking your creation to a new level. You didn’t need to know much maths. Never have I been so wrong. It involved a set of rules to need to follow to do your job. It involves more creativity. Successful games have creative people who made them. They’re thinking of software as a creative process and tool. They’re thinking of and “using” others. They’re thinking of writing games for others to enjoy. They’re seeing challenges – and perseverance – as a way to learn. They’ve realised that their thinking has changed. This being the last teaching day in 2014, it is good to reflect that teaching can be good. It’s not always good but good times, like this, make up for when it’s not so good. The foundation of education is still based on the social interaction between teachers and students. 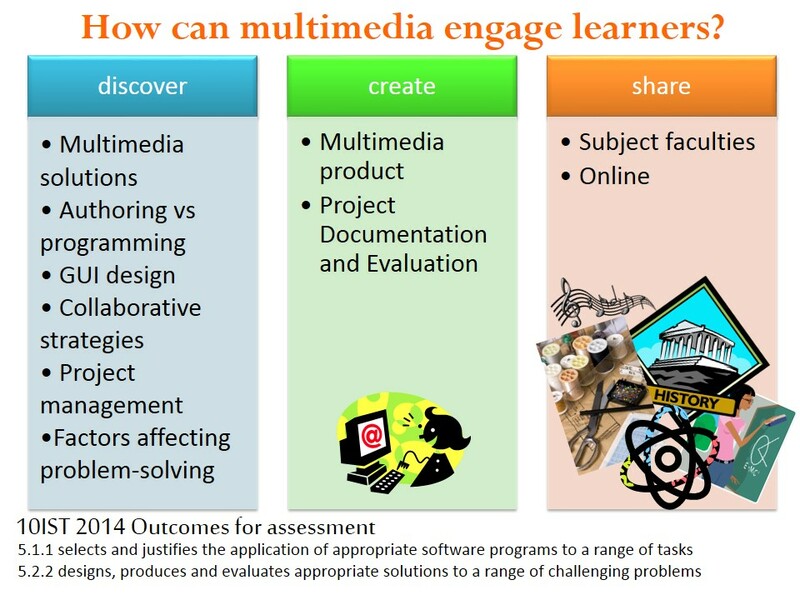 For, as transformative as each new technology seems to be…, what really matters is what happens inside the learner’s head and making a learning think is best achieved in a social environment with other learners and a caring teacher. After a term break from PBL, I’ve gone back to it with both my 9 and 10 IST classes. I’ve been meaning to share the ‘idea’ but just haven’t got there (Is it really week 4 now?). Anyway, I’m glad I’m doing PBL again now as well as incorporating some of the things I’m learning as I do my Masters in Special Ed. So then, in this post I’ll share my 10IST PBL plus a (rough) lesson plan that targets content (IST: problem definition, GUI design) as well as an example of teaching approach that promotes active response (one of the effective teaching principles I’ve learned about recently). We’re about a third of the way in and most of the theory have been covered (via direct instruction) by now. However, I’ve noticed that while students ‘get’ the idea of what engagement looks like or what ‘good’ GUI looks like, I wasn’t convinced that they’ve wrestled with it enough to apply in their own projects. 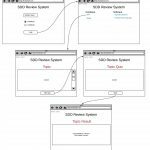 So I designed this lesson to show how a topic could be presented online in three different ways. The topic is a probability problem popularly known as the marriage or secretary problem. I divided the class into discussion pairs. First, I showed the wikipedia version which provided a brief description of the problem. Discussion was first done in pairs and then as a class. This is the first time the class have heard of the problem so there was a lot of “I don’t get it” and a few, “yeah, I’ve encountered that problem heaps of times”. Then, I showed this academic article version which provided, as expected, a more academic description of the problem and solutions. There were ‘whoas’ as we scrolled through the voluminous and dense text blocks and equations. Again, discussion pairs followed by class discussions. We got to unpack some of the GUI principles to do with form, function, navigation, layout, etc. just by comparing this with the wikipedia version. They were applying the content previously learned, both in terms of concept and language. Their analysis of GUI design is becoming more sophisticated and this is awesome. Finally, I showed this NPR article with a sensationalist and attention-grabbing title of How to marry the right girl: a mathematical solution (thank you @fawnpnguyen for the inspiration!). We went straight into class discussions on this one and highlighted which GUI principles made this one more engaging, including the use of graphics and share/comment buttons – a feature they may well include in their projects. There was also a bit more discussions when one of the students piped in that she thought the wikipedia version was more engaging with its neutral tone and predictable structure. This emphasised one of the key things in the design process, i.e. problem definition and how wikipedia addresses a different problem (and audience) than the other two. ‘Engaging‘ then, is relative (gotta love those lightbulb moments). Therefore, as they set off creating their own solutions (project product), they need to be mindful of the problem they are actually trying to solve. Then, I asked them to create their own version of the topic in what they think is engaging. Students challenged themselves to learn more HTML and CSS tags and JS scripting, based on what they want to learn and incorporate in their own projects. Sometimes lessons work according to plan, if not better. This was one of those. It can be better but I sure was pretty happy with it. Discussions in pairs and whole-class with plenty of opportunities to raise and answer questions as well as working in pairs with plenty of opportunities to synthesise are strategies for active response to help with learning engagement. Students are constantly wrestling with the content from different angles. The student who preferred the wikipedia version went on to do more research on the marriage problem because she really wanted to understand it (she was in the minority, I assure you, but enough to make this ex-maths teacher a little bit happy). And in doing so, has illustrated yet again the beauty of tangential learning and the power of inquiry driven by curiosity.